"Easy to visually see all of the tasks"
As someone with both ADD and a neurological condition that affects my memory, Team Gantt is a lifesaver in the workplace. It helps me stay organised at a glance and stay in control of my work. The layout is calm, well spaced and easy to read and the bright colour coding makes it stand out from other project software that ends up dull and hard to analyse. It would be nice to see a cheaper personal plan or to be able to pay for extra projects. The team plan is very expensive and I am only using it as a personal tool, mainly combined with Trello and I would probably invest in a cheaper plan if it gave me access to a few more projects. Would be nice to be able to set custom colours for the tasks as I tend to colour them by category and would like to pick different shades of the same colours to differentiate tasks. The Trello powerup is fantastic and probably one of the best things about using it. I can easily see my tasks, priorities and workload, re-arrange tasks without getting muddled and confused and see exactly which task I should be focussing my attention on. I work across a number of sub-teams and by using assignments I can easily stay in control of due dates and dependencies as well as track where my time is being spent, troubleshooting any workflow issues and negative patterns along the way. It is a system that at first may seem simplistic because it is very easy to use and start using immediately. Since you start loading the information of your projects you will notice that the advanced features are wide and can fulfill the expectations. The fact of being able to do collaborative work is very useful adding that living in the cloud becomes very easy to access. It is also very visual and elegant the form of the presentation what makes the work more enjoyable. The only drawback that I have observed has been in the free version. With it you can work a single project with 3 collaborators. Serving for small personal jobs, but difficult implementation in a company. It is a very practical and easy to implement software to improve and work very easily the projects of the company, making them more efficient. Reducing the investment time in the control of each task or project. In the projects of the year it has been used being very practical since we have offices in different spaces and the collaboration has been very useful. Achieving easy tracking of each task. It is alicable not only for business but for personal projects, is another application that I have given. This saves us time and allows us to present it to a larger number of people. The delivery plans that we make monthly can be explained and explained to different people in a simple way, since Teamgantt helps facilitate the creation process. It is a very simple yet effective project management tool. It helps us keep track of our timelines, and tasks assigned to each other. It is also very easy to use. There are some aspects that can be improved. I would love to be able to create tasks and not assign a timeline to it as it maybe a future task. In most cases the overall percentage of completion may not be accurate due to the way the calculation occurs in team gantt. It should be more customizable to the business, instead of the business having to work to fit into the rules of team gantt. Consider using this tool, if you are after a simple and effective tool and also something that is economical. We are using it tackle our big projects for the year and we can use it is an official project management tool and as a document/record of work done for the business improvement initiatives. Tasks assigned to individuals helps us to keep track of things we need to be doing. That is (the best I found) web-based platform that allows you to plan your activities in a very intuitive way. I am using it to keep track of my master thesis work and I constantly update it. Also, the way you can drag-drop activities allows you to quickly modify your project. I don't like that I have to double click every activity to unlink it from the other ones. Also, the weekends look very week in color (there should be an option to make it darker and easier to identify). A suggestion: it would be nice to have the possibility to change if weekends are part of the project. If you need a fast and easy-to-use tool, this is the right one. If you're not sure, give it a try! Not business but professional problems. I mean, it helps to plan any project in a very easy way. It was the best of the web-based planners I tried! "Observe and work together in all your projects"
Working in the cloud through Teamgantt is quite simple. Collaborating, sharing documents and doing joint work is something that can be done fluently, without the need to waste time in a great learning. It is easy to add elements to the table, also assign people for each project and color coding to facilitate the visualization of the tasks that must be performed. In addition to this, we also usually use the function of printing tables, since it seems to us a very useful advance to show in the team meetings, because the sections of the project that we want to highlight are summarized. When adding new tasks, there are often formatting errors. When you write the task and integrate it into the system, sometimes by naming it and making changes to it, it does not stay well stored with the name and design you wanted, but rather the letter is changed or moved. These are small failures that are really solved when performing these tasks again, but it is a time that is lost by carrying out the task again. It is a great software that allows you to work, improve and visualize globally your projects, plans, tasks and activities of your company to try to improve them and make them more efficient. It is a good way to increase the ability to work as a team. The delivery plans that we carry out on a monthly basis can be explained and explained to the different people in a simple way, since Teamgantt helps to facilitate the creation process. This saves us time and allows us to present it to a greater number of people. The percentage that has been reached in the projects is also something that we usually look at and use a lot, because that way we know if we should make any changes, if we have to dedicate more time to a project or if we have to update some section. It is something that gives us a global view of the progress we have made in the different projects. "Collaborate and improve your team productivity"
When a company has large companies working with it, it is a guarantee sign. We chose TeamGantt, because its brand gave us some security and once we tested it, we realized that it is an excellent tool to manage tasks, documents, modify and structure teams and projects, everything is very well organized. I do not find anything really negative, on some occasion the software has taken a while to load, but it is nothing that affects the performance of the program, so I do not consider it bad. It is a very safe, fast, efficient software that serves to manage projects in a precise, clear and improving collaboration, so if you want to improve productivity is highly recommended. What has improved this software in our company is the ease to cut and develop tasks in teamwork, to consult statistics and also to organize much better the division of projects, since having several large groups, it was necessary a better organization in all of them. "Excellent Gantt graphics tool for tracking tasks and projects"
TeamGantt is a very good web tool to follow projects, I love the simplified daily view because I can quickly see the most pressing tasks, the tracking over time is also fantastic. TeamGantt allows you to visualize the time assigned to each participant in each project and with this you can better manage the development of the phases. It is very useful that from here send notifications by mail of daily tasks. The interface is elegant and clean, but you can also add colors to make it more attractive. It would be nice to be able to create tasks without needing to see the whole project, a feature to limit access to users would be very useful in this. The load times then make a change in a project is very slow in my opinion, especially when changing the view mode. It would be nice to have notifications within the same application without requiring to go to the mail. The price of this tool is very good for everything offered, I consider it vital for a good project management and administration of resources and personnel. TeamGantt allows us to manage our projects easily and see the tasks assigned to each human element quickly. Thanks to this, I as a project leader can manage the time needed for each phase without wasting anything. The administration of resources has become easier to do with this tool, I can better plan the necessary resources and assign them to each stage. "Most intuitive, easiest to use Gantt chart planning tool on the market"
There is lots to like about TeamGantt. I believe it is the most intuitive and easy to use Gantt chart planning tool on the market today. If you hate Microsoft Project (like I do), you may very well love TeamGantt. I like having multiple views (Gantt, List, Calendar). I also appreciate the daily emails that remind team members what tasks they are supposed to be working on that day. All in all, this is great software. About the only thing I can say at this point is that I hate having to pay for it (even though their pricing is pretty reasonable to me). The only part of TeamGantt that wasn't so easy-peasy to figure out was the availability of resources, but I think I have the hang of that now. Clear communication of what must be done in each project, by whom, and by when. Because TeamGantt is so intuitive and easy to use, team members don't mind updating the plan. With TeamGantt, everything is in one place; from planning to tracking, at an affordable price. Using TeamGantt as a team, we were able to improve our turnaround times of new projects and improve our general productivity. In my opinion the best features of TeamGantt are the simplified Daily view, Time Tracking, and being able to see a team member's assigned times while planning out other projects. Unfortunately the TeamGantt interface lacks continuity between screens and elements, e.g. between the Daily, Calendar and List views; and with some popups with the same functionality like changing assigned time. The major issue we have with TeamGantt, is the loading times after making any change to a task. We would prefer a desktop version of TeamGantt. As administration, I have access and use all of the features available, but it would be a great addition to TeamGantt if you could offer another pricing tier for additional team members, with access to their Daily view, and ability to track time, without being able to create or edit projects. Using the Daily view, the estimated time of a task can only be seen if the user clicks on a task, then on the Details tab. Being able to see the estimated time on a task in the Daily view would be great. The app could benefit from a time tracking feature. I would recommend TeamGantt to anyone that needs full control over product scoping, planning, resourcing and overviews. The simplified interface and ability to track time on tasks and compare these directly to your estimates is better than any alternative we found to date. Planning, resourcing, and time tracking. We use the built in time tracking feature to compare estimates vs actual time taken, which allows us to reduce time spent estimating project scopes, or having to compare time tracked in a separate app to the estimated times. "Easy to use and visually appealing"
If i really have to choose something to dislike is the fact that you don't have an option for a group of milestones for tasks that are repetitive - you can add them in different rows so they're still there, but it would be nice to have this as an option. Also, maybe a way to group resources would be useful. Try it out, you will love how easy it is to use. Construction timeline management for a music festival that has 20 different areas each with multiple structures. "Practical and easy to use"
The easiness of the software helps to have everything on a single place and with the shareable option, as well as a fast way to track the activities and progress with the rest of the team. For me is an excellent way of having something more graphic to follow rather than other to-do software in the market. I wish there could be a way to add an assignation without having the person to have the account and see all the project. Maybe a way to limit the access for people might help a bit. Also, the critical rout is not available, and might also be helpful. From my point of view, TeamGantt is one of the easiest and fastest to setup that I had tried. I'm sure there are still a lot of things that can improve; but as it is right now, for me is just what I needed. Mainly because the learning curve is quite low, and many people can work on the same project at the same time. In my case, it was easier to track the progress and all the activities this way, rather than with tickets or activity drop-downs. Has also helped me to realized the relationship between some activities I didn't thought as close as they were, but they should be consider in a with a communication not only with my team but other teams as well. "Easy, powerful, great customer support"
When I email a question, I get a quick response and it usually turns out the feature already exists. If not the team is very helpful in getting a solution. Start by using the free trial, reach out to customer service as needed. We quickly saw the value and upgraded to first the basic program, then to the hourly tracking premium product as we saw the value in it. Getting a grasp on what needs done in what timeframe to meet goals, and from here having a smart plan for how many people with what skills we need to hire. Or for showing that it is a temporary need better for contacting out. TeamGantt is an easy to use and understand, project management tool that may not cover every aspect of more complex tools, but for simple projects, it is perfect. Cannot do task dependencies other the Finish-Start. If you need to manage massive projects at a detail level, this may not be for you, but for less complicated use, this is perfect. I am using it to manage 15 active projects each with multiple tasks and both internal and external resources. It is available on mobile, and as it is in the cloud, changes are instantly available to all users. I specifically use the notes facility to manage daily stand-up meetings. I have chosen the month to month contract, but will swop over to the annual charge shortly. What I also like was that it took me just a few hours to master the product, most of which was deciding what tasks made up the projects. We never had a simple overview of the projects at our company. Teamgantt gives this high level view which we use in stand-ups and for project planning. "TeamGantt is the 'Chuck Norris' of project management tools"
TeamGantt gives you the ability to manage projects from a gantt chart and list view, both formats are easy to use and really help a team collaborate. I enjoy the modern look and feel, things are easy to find and understand, simplifying the user experience for technical and non-technical people. Another thing I enjoy is the customer support, the TeamGantt team is always quick to respond! There is not much to dislike about TeamGantt. One challenge is setting dependencies, right now you can only set Finish to Start. I would like to have more flexibility with the dependencies in my project. In order to share my same experience, give it a shot yourself. You will not be disappointed. Encore Software, LLC is a software company that publishes products in retail and digital channels. We use TeamGantt to manage our SDLC projects from inception to launch. I have successfully launched products from projects that used TeamGantt for the entire SDLC, with multiple projects and team members. "Powerful tool easy to work with"
TeamGantt is easy to use and allows to have a great view of the project situation. The ability to check the original estimates and also to compare with already performed work is great to track progress in the project. I'd appreciate having like a project page in order to be able to register project information that is not a task itself. I've tried to embeed teamgannt into my confluence page but the result was not so visually beautiful. Is always my first option when estimating the effort of projects. The drag and drop barrs and dependency among them make this process esay to update as well. The easy way to estimate effort and resources allocation. It is easy to detail the phases and tasks of a project and has a summary of the effort requested to finish the project on time. "Nice tool, with good support, intuitive interface." Ease of use of the tool. It's easy to get started and create a professional looking Gantt chart using just the free version. Wish there was some way for tasks to be color coded in terms of communication events or status. When reviewing a bunch of tasks on a chart, it would be useful if somehow I could tell at a glance which ones I sent out an email about, or I did some work on a task, and then have it be color coded in terms of when that happened, so I should know if I need to follow up on a task and send another email if necessary. Coordinating work schedule with a fund raising schedule. We have realized the benefit of having a nice graphic to show to potential donors. Ease of use while also providing easily understandable and actionable information. The price point is fair. I can manage an average of 20 concurrent projects with multiple PMs who share a resource pool with little trouble. The product's features are simple to master and provide me the ability to direct and manage my team without irrelevant noise. A feature that I would like added is a simple way to see unassigned task details. This information is available but not, to my knowledge, in a quick and actionable way. Additionally, I would highly suggest an integrated 2 factor auth system. Test with a trial account. If your goals are speed, simplicity and ease of use it may be a good fit! As a PMO Leader, I need to review and make decisions on information regarding project scheduling and resource usage often. With the TeamGantt platform I can very easily glean project health and progress, schedule adherence, and resource usage. It is easy to use (building, modifying Gantt charts) and easy to quickly process the information that it presents. Multiple PMs and administrative staff can use the tool without issue while it remains simple and intuitive for the team. Also, it provides a platform for project related communication where my team can make notes, ask questions and otherwise keep each other informed. Finally, there is an easy-to-use mobile app where my team members can keep their project tasks updated in real time while away from their desks working remotely. "A very good tool for well-organized and disciplined people"
It is a powerful tool that helps you understand what's happening with your projects. It ensures you the helicopter view (in case the other colleagues use the app as well). Another good point is that it helps you see all the processes in one place and you don't have any uncovered one. It is very handy and was a good relief, when using it during the trial period. The fact that there aren't any in-app notifications, that means, that you have to always check your email (that is not so easy for some people). All has to be in one place, maybe even an internal chat. Other features are just a thing to learn and to adapt. First, you have to change yourselves, meaning, to become more organized and disciplined, then you can use efficiently the project management tool. At the moment I've just tested the soft and, generally, I liked it a lot. The last problem is that not every person could use it with ease. "Easy to use Project Management"
It is quick and easy to use and update. It does not take a lot of time to get your projects entered and start using the system. I have used MS project in the past and while it is incredibly strong, it is too time consuming for most projects. There are examples of very resource heavy projects that need something like that, but for most people that are looking for PM software, their projects are not that difficult. This is something that does not take longer to use than the project takes to complete! There is nothing that I really dislike about TeamGantt. However, I am not sure of it's power with Portfolio management, as I have not used it for that purpose. I have also not needed to use the document storage postions, so I cannot speak to that use. I have not needed to contact service support. Though I have followed TeamGantt on LinkedIn for years because they have great blogs on PM topics, so I feel like the info is out there if you need it. Also, no software will solve the problem of a disorganized project, you have to take the time to create a plan, monitor the project and update it in the software- it is not magic, just a tool to help you do your job. I have used many project management products and this is the easiest to use while being robust enough to actually track multi-level projects with different colleagues. This is the perfect product that lies in between the overly simple Trello and the overly complicated MS Project. Also, it sends notifications when items become due- but consolidates them into one email per due date instead of an email for each item- which quickly fills up an inbox. "Making complex projects run smooth." I like the fact that the complex details of each job are located in one spot so I do not have to keep track of every detail by memory. This also allows others working on their respective part to review the status of the job without being dependent on me for the answers. One additional component that has been helpful is that each task has a "request progress update" tab that sends the assigned person an email asking for an update. This has significantly decreased the amount of time I used to spend using various communication tools in an attempt to determine the progress of a job. Compliance tasks from templates can still show up as pending tasks in the generated emails. My recommendation to new users is that they watch videos and participate in as many of the weekly live training sessions TeamGantt has to offer. TeamGantt has allowed the strengths of each individual to now work together as a team. We are all able to see the status of a project and can help the current task to completion as well as prep for the next task. Overall, it has helped us see not only individual details of each job but also to take a step back and look at the overall timeline of a large complex job and begin making changes before it becomes an issue. "Simplicity and elegance define the TeamGantt experience." The ability to start projects intuitively without guidance from bots or any pregenerated instructions. Some of the minimum functionality such as assigning users should be included in the basic (free) version. Cost is high per user. Our company is now looking at ways around rolling it out to multiple users. 1. When editing new tasks that do not allow you to select a certain character spot (only fixes when you refresh the page). 2. Scrolling in full screen stops working (only fixes when you refresh the page). I've seen both of these issues called out online. Minor problem, but a recurring annoyance. Scheduling and planning for major projects. We need to plan an enormous amount of executables prior to running sessions at our place of business. We're hoping that TeamGantt will allow us to start and finish our project tasks on time while hitting our required milestones. "Ideal for managing timeline of major projects"
Gives the team a visual representation of where we are in a project, the work yet to be done, and where we have come from. The TeamGantt allocation of resources does not link with the associated Trello project. This tool is ideal for visually representing a project on a gantt chart. Really easy to move steps around, and to see dependencies. Great for forward planning and also for teams to understand project timelines. Can also allocate tasks to team members. Highly recommended. We are planning our workload for major projects, which take around six months. This tool gives us a better ability to communicate with stakeholders where our work is at, and what we see coming up. It is also helping us identify possible future issues before they come up. I like the simplicity to use the tool and communication within the team. It's the central hub of our content and collaboration. It's simple to swap assignments mid-task for tasks that require input from multiple team members. Our podcast creation, editing, and posting have benefited tremendously since implementing Team Gantt. The biggest benefit we have seen is not losing sight of the big picture as we get bogged down with day to day tasks. "simple as you wish and loaded with function"
Starting off I've kept TeamGantt as a simple to do list for my massive real estate development project. It's working very well on the computer and app. My team is about to expand and I'm feeling good knowing that it will be easy to on board people and show them exactly where the task are for their quick start. I'm so at ease knowing how easy it will be to grow the team. Also, the list view and gantt view are very helpful to me to see and show others where the project is in progress. It's a big jump from 0-5 in team members and/or 0-$40/mo for my start up. We are long before revenues and cash flow is tight. getting things done with long time lines. "Super easy to use with great features"
I can quickly create professional looking gantt charts, showing resource (by name and colour), dependencies and how much of a task is completed. I also like that you can share with people who are not members of Team Gantt, which means you can share with everyone on a project easily. Adding the dependencies can be a bit fiddly, an requires a little patience to get right. Trying to explain complex schedules, or programmes of work becomes much simpler when able to visualise in this way. Managing commercial projects which requires client input is also really simple, as you can visualise third parties with different colours, then bulk move items all at once if dates need to move back. Able to hit the ground running. The interface supports milestones, resources, users and so many other cool features. Moving items and realigning schedules is very straight forward. Outside resources can be assigned to tasks, Users can be assigned to tasks. Reports can be run to determine what resources are holding up the project. Comments allow context aware dialog about specific tasks. Comments can have mentions which provide another mechanism for directed communication. We had people create resources which were duplicates of users. If I had a wish it would be some mechanism to enforce proper use of resources and users. Take it for a spin, I think you will find that ramping up is fairly quick. Collaboration among developers and analysts. TeamGantt allows management to know where a project is in it's life cycle. What resources are being used. Which resources/users are holding the process up. Where additional resources might be needed. "Great, intuitive tool for planning projects and activities of all sizes"
It's super easy to use and I've shared with team members if various different roles over the years. A couple of times I've dragged the wrong item/task to a new day or time and I wasn't sure how to revert the change or where the original item was meant to be. To be fair I've not looked to see if there is change tracking or version control. It's worth watching the short starting up video tutorials. I didn't when I'd used TeamGantt in a previous role and learned lots of small tricks and better ways of using the product in just a few minutes when we started using it in a new team recently. Sometimes, when we have a number of different small projects in the air it's just easy to throw them all into a Gantt to check that we are not over promising based on available resources. Our internal stakeholders appreciate that we can show them a clear plan with milestones and deliverables mapped out. "Love everything about the product!!" I love the overall interface but I think the Discussion feature for tasks is especially useful. Furthermore, the fact that we can use markdown and attach documents, allows us to create a relevant history of material for a particular task that includes all kinds of documentation, code snippets, math. It has replaced my use of cloud storage for the purposes of communication about technique issues. The service is a bit slow in China from where I use it. It was not so easy at the beginning to know where to click to edit and to include discussions. But after doing it a couple of times, it was easy. I would also see more people in academia use it, where it has tremendously improved our productivity management. Give it a try! They have a great service team and will help your needs. It has never been as easy and effective to track work progress in academia. I work with a group of 10 graduate students on a host of small and large projects alike. TeamGantt has really helped us to streamline management, which otherwise would often fallen through the cracks. The students are totally integrated into the process. "Excellent project mgmt product that keeps our remote team organized! " 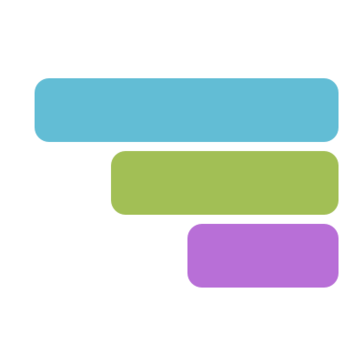 TeamGantt is exactly what it sounds like - a tool for creating impeccable gantt charts that can be shared, edited and organized by as many collaborators as a customer desires. However, the product - albeit simple enough - has been designed with an incredible attention to detail and is extremely intuitive to use. I love that I can easily see projects from a high level perspective, or click again to dive down into the weeds of a specific task. I love that my team and I can easily upload files related to a task, or even start chats pertaining to a project or task (much easier than flipping back and forth between Slack and a second, project mgmt tool!). Another favorite feature - just about every dashboard within this tool can be displayed in multiple ways. This is great for teams because everyone has different preferences when it comes to how information is viewed and best understood. I have no complaints! I have yet to find a flaw. TeamGantt has been great for our team - we are a small private equity and venture capital firm that works with our portfolio in a hands-on way. With this in mind, many of our team members wear multiple "hats" and keeping track of who is doing what can become confusing, quickly. On top of that, we have team members located all over Canada. TeamGantt keeps everyone on track and makes it easy to chat about various projects, down to the exact detail, without flooding each others' inboxes constantly. Further, it's super intuitive and has great training resources - this is a big plus for us, as our team is rapidly growing. Personally, I travel a lot and find the mobile app extremely helpful - can check in on who is doing what and what is expected of me, even if I can't get on my laptop. I like the granularity that comes in the charting portion of the software - the fact that you can specify day by day and control how you view the charts is awesome. The thing I dislike personally - as a project manager and a developer - is that there isn't a clear way to max somebody's hours or prompt the PM to say 'hey, this person has x amount of tasks/conflicts'. It would be helpful to have some sort of indicator when scheduling a task to show potential scheduling issues. It's worth a try. As a project manager, it helps tremendously when trying to manage projects and resources - but fair warning, it doesn't solve the personnel issue if the team can't not build in the software into their natural workflow. The benefits is that multiple project managers are able to manage multiple projects at the same time with the same team. It's so much easier to plan out projects that span anywhere from 1 months to 1.5 years. It's also helpful that you can publicly display this timeline for people outside of the team to see. "Useful and easy to use"
The way you build gantt here is fast and really useful. We were able to sync more since we started using Team Gantt, this had great results in the work. It is amazing and i'm going to get a full service soon, i already use Slack, Odoo and Trello, and some of them work great connecting each other. Try to add more social networks to it, this way we could have more information in every proyect we work at. Maybe i would make it more social, that way you could create gantt with everyone you work with. If more people use it, better it gets. We need to make this kind of tools free or not so expensive. this way we can make the world a better place, i always work trying to give the world something useful. Thank you for doing all of this, i just think it is a little expensive for small business or maybe asociations. You should talk to your team about how important is to use it. Coordination and home office. First time i used got to clear all the info i had in my head, placing tasks to myself. When i could get my business partner to use it, our business worked as best as never did before. Now im getting ready with a big proyect and we are 3 members, suddenly i'll add more people who work with me. "A convenient tool for project management"
I like working with this product because I can do a lot of good. A good and understandable way to work with the chart. I have the opportunity to manage all my work on projects. Very good and fast work. The application is cloudy, so everything is stored on the Internet and accessible from any computer. I like the fact that changes in project planning are reflected in real time with the ability to notify everyone about the project team. I skip the mobile application or the mobile version of the website because whenever I try to change the schedule on my mobile device, I try my best to use the right places. The ability to track the status of the project in real time in an easy-to-use and accessible tool has helped us improve our "direct visibility" in various projects, as well as ensure efficient work of employees and high workload. Very good product. All your projects. Documents and conversations are immediately connected to the task. I like this software and I recommend it. "Control all your working needs. " Easy to create and track the diagram. The very simple to manage my projects and see a complete working process. Much better to build task. The easy way of dragging and dropping our tasks to plan the projects. Really nothing to say bad about this platform.I don't have any hard mistakes with working tools. All process also bring wonderful results. The software is useful for all of us. You will make easy to keep track on your action lists which will save your time. Great that with this platform you will control all conversation and instrument. With this solution, you will know that all important data will be in your related task. Much easy to sort out our schedule. With the ability to drag or dropping to a diagram. We found that our work more effective and comfortable. For sure it is a best controlling system in the working process. "Plan your Project neat and up-to-date"
Exact work flow with almost all details for reaching to completion of your project right from scratch is very easy and interactive with TeamGantt. You can also take help from more your team members for editing work flow simulteneously to plan ahead accurately. It can add comments and assign particular role to member say, a module to member one and set their dealine along with its current progress display. Overall, nice and handy tool if you dont want your project to delay and complete without any mess in schedule. Premium versions. Its rate can be high and may not be economic for some start-ups. It also has trial version that has many feratures but still for full access and better experience buying premium can be costly. Though costly premium versions but value for money. All project need an exact schedule for employee to get idea of project completion. We use this tool for creating work flow by assigning modules to many of our teams and further those team splits its work into fragment modules that they need to complete by deadline specified in this schedule. With this tool it becomes very easy to monitor porgress. "Have everything that you really need. " I have the better way of work on the diagram. Perfect and much easy to control my projects and see all full working process. I'm glad that now I can easily add all our tasks. To make our diagram online by easy dragging and dropping our tasks to plan our project. Makes our work lighter. I will be honest, till now I don't meet any big problems of using that software. I like the fast way of all working process. I'm glad that I always have a powerful help from the support team, their reply is correct and fast. The software is really very helpful for the company. You will have the ability to control all conversation and documents. With this platform, you will be sure that all important information will be on your related task. Will be easy to keep all track on your action lists. The perfect way to work on making our schedule. With the opportunity to drag or dropping to a chart makes our job more productive and comfortable. Best management system at work process. We have the best ability to the planning of the day which makes our team better. "Preparing Schedule for Your Project was never this easy and Attractive before ..."
Looking for creating SPMP or gantt chart for professional project which should fulfill all your requirement with alluring look, TeamGantt has got it all. We use this tool mostly every time for creating a full fledge work plan that employee has to follow. It includes several features like adding name of employee against its scheduled module, coloring module to differentiate.It has a nice way handling of each module individually with catchy UI making it easy for any changes even in future. The main feature is its scheduling whole plan automatically when it comes to postponing or taking the project ahead of actual date. Tracking progress of each modules work is also very cool feature. Only limitation i came across was displaying plan on single screen. It is difficult to pin point individual module on single screen if your plan is much bigger or has many modules. Also for large company, they have different team options that are paid so it can be costly for large company. Provides easy, interactive and complex work plan for a project. "Very good and deep work with this software. Great manage tools." I like to work with this product as I can do a lot of good things. Good and clear way to work on the diagram. I have the ability to manage all my work on projects. Very good and fast work. I like everything about that software. And it' is will be not good from my side to complain about it. Very good tools which will help you all the time. Good support service. It is good software. Powerful tools. Very good for conversation and our documents. Also very good that all working information direct going to the task. Good support always gives a good help. I recommend it. We are glad that we have a good chance to work on creating our chart. Ability to work on projects with an easy way of dragging or dropping to a schedule. Very fast work on it. The good and fast way of planning for the day. "The features you need and will actually use"
Does what it does very well. Focuses on the things you need to know to manage a project. By sticking to a solid set of basics, it's easy to learn. And easy to use. There are way more complex tools out there, but when we compared we saw huge onboarding effort, much higher cost, AND end-user resistance would have been very high if we used the advanced features (e.g., you can add columns to collect more data about each task--but every user must keep that extra data updated or your custom reports are worthless). Maybe one or two more reports. The Health report is great, but you really should be able to get a list of the tasks that are behind and overdue. 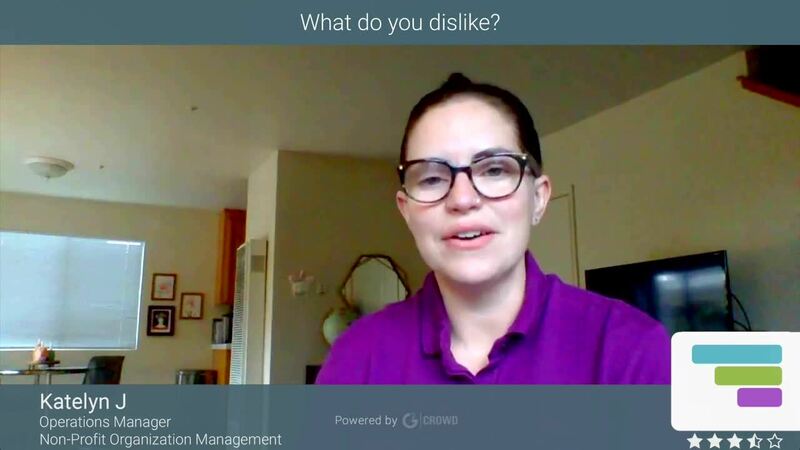 For systems you are looking at, think about onboarding time, planning for detailed reports if they are available, how likely is it your team will use a tool with a given complexity. If you select TG, think about your template process--if you have repeatable projects, make a good template that can be shared. Biz problems: Mostly event planning, but also IT projects. Benefits: Getting people to manage their projects in a similar process, rather than DIY/spreadsheets. Collaboration about the projects and tasks. Insight into status to groups of people. Reusable templates which save time, help us not miss steps in a project. "Easy and fun to use!" I have used quite a few project management tools in my business career and was looking for a simple to use solution for a project at home. TeamGant is it! It is not only easy to use, but working with the program is fun - I enjoyed being able to simply create tasks & getting reminders for jobs to be done. I was completely happy with the program and had nothing to complain about. Give it a try - this is well invested time! "Just wanted to have a Gantt chart view of tasks in Basecamp 2"
I like the fact that I can use TeamGantt as a way to manage the tasks I already have in BaseCamp. Basecamp is a great platform for collaboration but not that great when it comes to project management itself. I like Gant Charts for project management. So I get the best of both worlds with TeamGantt and BaseCamp together. I would like to have other ways of viewing the information. For example, a Burndown Chart would also be very useful. Mainly personal project management. I work with a small team of designers and artists building e-learning for clients. My team are located in several different countries. We practically never meet up. "High School Student Time Management Success!" Student and student group project overview and utmost user friendliness! As a prior user to "Project" as well as seeking an online program for my students (GanttProject.biz) I have absolutely no dislikes, other than potential costs to my school system. Ideal website for which my current students have indicated they will use/recommend in the future. As an educator of and mentor in student engineering projects, time management is crucial. Our education system delivers a "feed me" approach to deadlines for students to meet, however time management on independent project suffers from the lack of project management training. The benefits I have realized are numerous. 1. Utmost friendly user interface including the drag and drop features 2. Real time collaboration both in and out of school between student/student, student/team, team/mentor and team/teacher relations (FABULOUS!!!!) 3. 75% Reduction of student extension requests for activity and project submissions. "Outstanding (First Day of Use)"
Compared to several diffrent products with free online proposition TeamGantt is very intuitive for the amount of incredible features they offer on the free account. You will run with all your projects in a matter of minutes. I have intermediate knowledge of project management tools, and was able to get a WBS plan for multiple milestones in minutes. Also, great support features (not obnoxiously interrupting your work, yet easily accessible / visible in case you need to). This is based on my private test period use with only myself using, but it's very likely I will propose to our team to test collaboration features. If you would like to start with something this is the best one I've tried. At the moment I haven't found anything that would get me to cancel account within minutes of using the product for the first time. The team I'm testing the tool for cannot afford time for steep learning curve, so getting everyone on board with minimum effort is essential. If I can't set up the basic structure of the project within minutes, or I find myself spending more time looking for answers on how to use the tool instead of actually using, I'm cancelling the account immediately. This is the first one I have not cancelled and that I can't wait to see what more I can do with it. Process efficiency, completion of projects, tasks tracking, effective planning. "Team Gantt helps me and my company stay organized"
I truly gravitate to TeamGantt for its ease of use and simplistic design. I don't need the fluff and dozens of the useless features-this app gets serves one purpose only and that is to provide a solid Gantt chart. Love the fact that it works flawlessly on my computer. I would strongly recommend using this product if you want a solid Gantt chart module. Staying organized in my business is key. TeamGantt allows me to do that and I am quite pleased. "Super Easy to Use and Now I Can Discard Other Tools! " The integration with Trello allows me to get a better handle on the state of my project without having to set up a separate project tool. I now have the detail in the Trello cards which are assigned to teams but can get my quick visual overview of the progress in TeamGantt. We were also able to identify several problems in the original plan much more quickly and easily. Since we're tracking the project at the deliverable level, I was able to easily see where dependencies broke down, dates were entered incorrectly, or we had gaps in the schedule. A) I wish the integration with Trello was tighter: 1) Users or teams could be assigned in Trello and flow to TeamGantt 2) Ability to change percentage complete in Trello 3) Ability to set dependencies on other cards in Trello, as well as a few other things. The way it works now is that I create the Trello card, add the plug-in, set the dates and milestone, and then have to go into TeamGantt to set the team and dependencies. B) I wish non-TeamGantt users could see the TeamGantt Trello plug-in information, even if simple read-only. They are setting the Trello due date because they don't realize that I have dates already set. Business problem: Ensuring coordination across several teams on a large project to ensure we meet our target dates. Benefits: quick and easy ability to check and report on progress. Ability to find costly errors in the plan. "Easy to access and more easy to keep up"
The visual dashboard makes it easy at a glance to know where the team is at. We understand quickly during a sprint review what is behind and what is on task. The content is easy to track and to move around when needed. For our PM it took him little time to go over the tasks and gets our sprints under way in no time. We also love the easiness of access for all team member. It happens at times that the content to update for each users is not the easiest to process. To update a time spent on task is also not the easiest to process. Something marginal is also a wider use of color coding for tasks or bugs which would allow an easier triaging session. We solved the amount of work left for our project and the velocity we needed to hit in order to finalise our product on time. We realized that we were severely behind and needed to allocate a lot more tasks to other people in the team who were under utilized. Gantt helped us not get into crunch time. "Controlling and managing your tasks made easy"
TeamGantt shows all your tasks next to each other and helps you see everything that's on your plate in a nice, helping manner, that keeps you in control in what's more urgent and what's less urgent, what's left to do and how close you are to finishing a single task and all your task list in a single glimpse. No other task manager was so easy and helpful as TeamGantt is to me. I wish the Android app had the same controls as the online version has, and that it could have easily allowed me to change task type, to see the timeline at all times and to drag and drop items on it. TeamGantt finally have me control of my task list after a long time of a complete lack of control and a task list that's gone completely out of control. "Fantastic point of truth product with excellent short and long term project planning." I like that all timelines can be viewed in one place with ease. I also love that files/data/comments can be attached to each activity, which creates a great point of truth for a large team. I can't adjust the column width in the project view. It would be helpful to collapse certain columns when desired. Make sure that this product suits your need. This product is very suitable for managing multiple projects across a number of employees. If you want it just for one person, it may not be suitable for you. I am part of a small team that has recently merged with another. We have many tasks that are separate or shared. Gantt makes it very easy to collaborate and create a central point of view for projects. It also provides a fantastic way to track long term goals and progress. "Incredibly helpful and easy to use"
I'm new to the world of Gantt and I found TeamGantt through Trello when I needed to start to visualize a large mulit-faceted project. The baseline that TG provides to you is an incredible learning tool and in a matter of minutes I had built out what I needed to start truly understanding my project. As weeks have gone by I have used TG on a nearly daily basis and am consistently adding things, creating dependencies, and sharing my work with others that are impacted by the success and progress of the project. I would highly recommend TG. 1. the integration with Trello, ironically, is not super intuitive. I ended up not using Trello at all for this project so it's been fine but I would love to have that be a little easier to use. 2. While TG does allow you to export, I would love to be able to embed the gantt in a Google doc presentation so that I don't have to consistently take a screenshot or export data. I do like you have a shareable link which is very helpful but embed code would be great! I am a visual person and while a to do list is great, it doesn't help me understand dependencies and timelines. TeamGantt has keep me accountable to specific tasks, keeping track of what other people are responsible for, and managing to our timelines. The reason I like and would recommend TeamGantt is because it's the tool that my team has used the most -- we've used spreadsheets, smartsheets, jira, and more, and I find that my team is most engaged with TeamGantt. I see them logging in, reviewing the gantt charts on their own, and appreciating seeing all the dependencies. I spend list time forcing folks to review timelines :D They are motivated to review this on their own because of the engaging format and clean UI TeamGantt provides. It's frustrating to not have an undo option. When I'm experimenting with moving a timeline, I have to move it to that exact spot afterward -- it'd be nice to have a button that'd allow me to move back to a previous iteration of the timeline. Keeping the launch of new products on track and providing visibility on milestones and their due dates. I've been able to reach all these goals using TeamGantt. * We monitor all TeamGantt reviews to prevent fraudulent reviews and keep review quality high. We do not post reviews by company employees or direct competitors. Validated reviews require the user to submit a screenshot of the product containing their user ID, in order to verify a user is an actual user of the product. Hi there! Are you looking to implement a solution like TeamGantt?